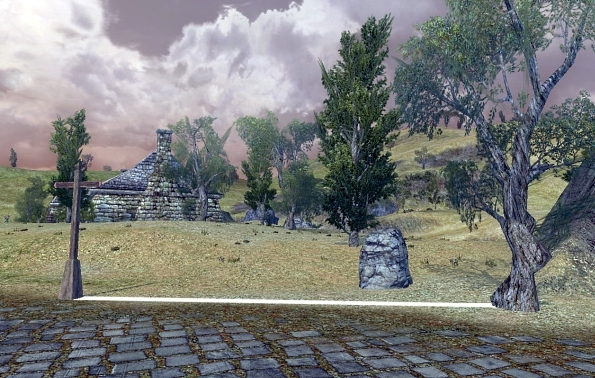 View courses for the Misty Mountain Classic, Winter Derby, or the Shadowfax Sprint. 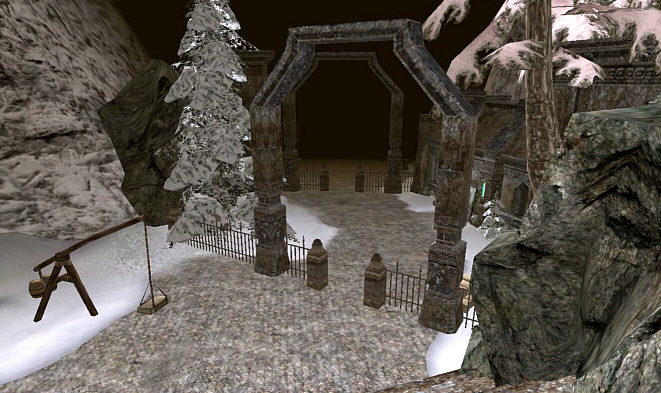 The race begins at the edge of the main stairs at Gloin’s Camp in the Misty Mountains. 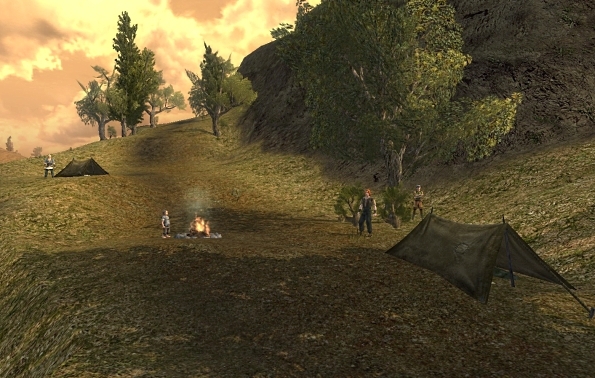 The first checkpoint is at Frosthyle Pond. Ride so that the snowy tree at the east end of the pond is on your left. Beware angry snow beasts! 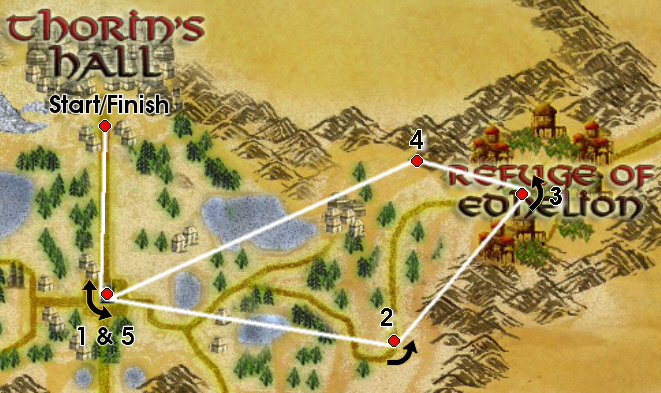 The second checkpoint is at Hrithur’s Haven. 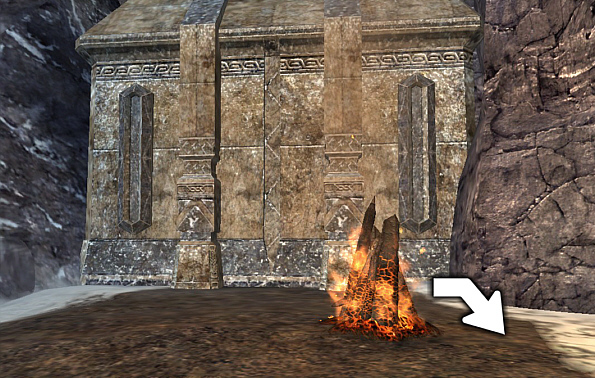 Ride clockwise around the bonfire. 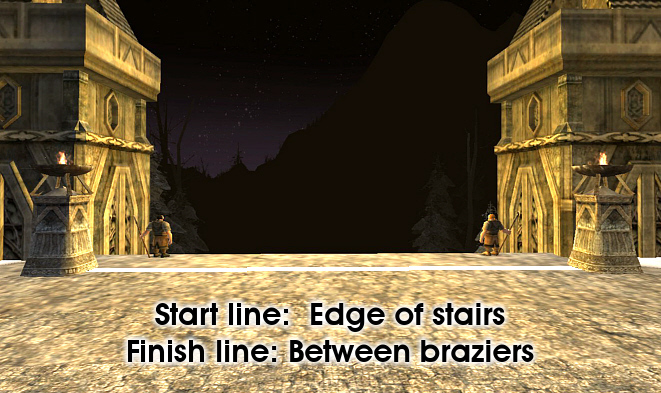 The finish line is a visible seam where the stairs meet the platform. 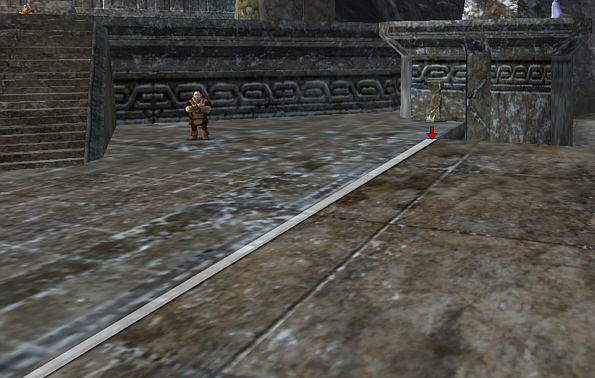 The race begins at the edge of the stairs in front of the gates of Thorin’s Hall. 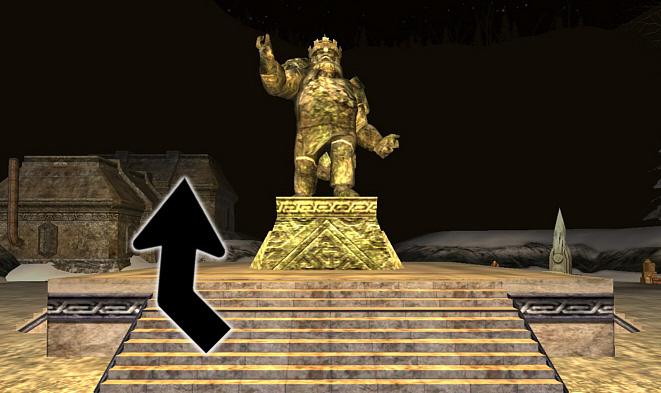 Checkpoint One – Counter-clockwise turn around the statue at the center of Frerin’s Court. 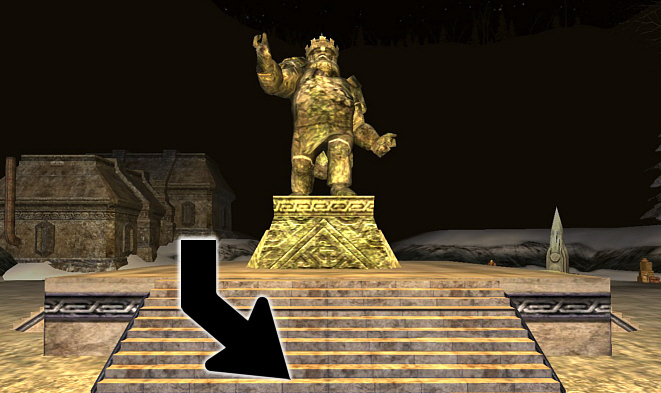 Riders can go over the stairs and must only clear the statue itself. 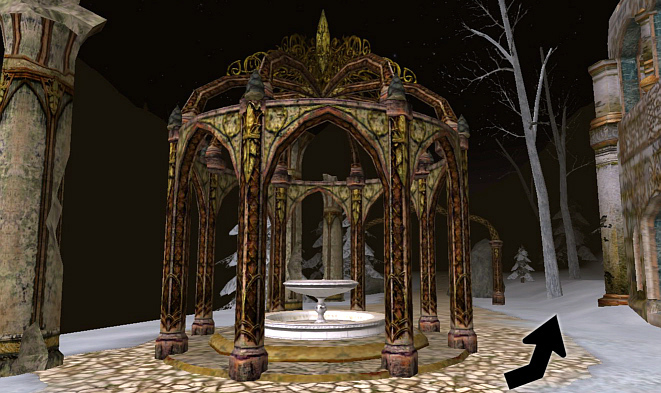 Checkpoint Two – Counter-clockwise turn around the gazebo at Winterheight. 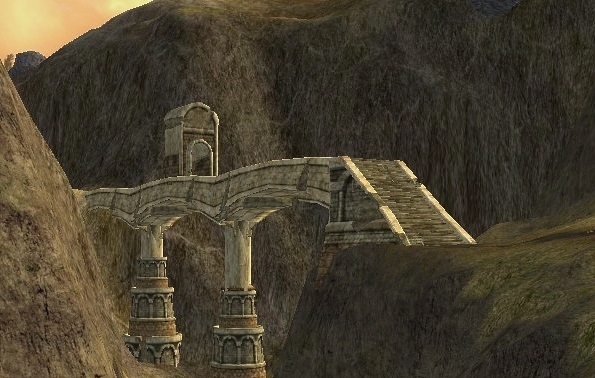 Riders must go around the gazebo but can pass through any other gates. 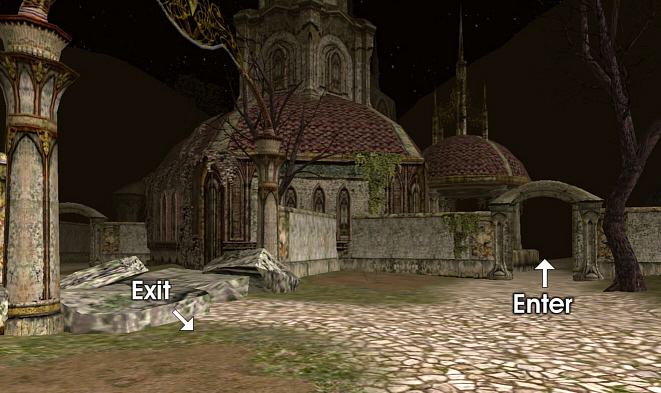 Checkpoint Three – Counter-clockwise around the main building in the Refuge of Edhelion. 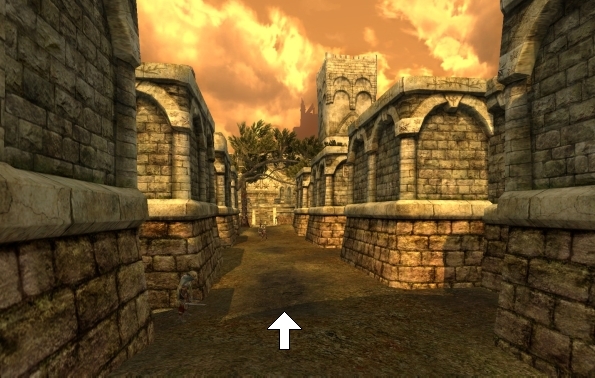 Riders will enter through the gate on the right and exit over the rubble. 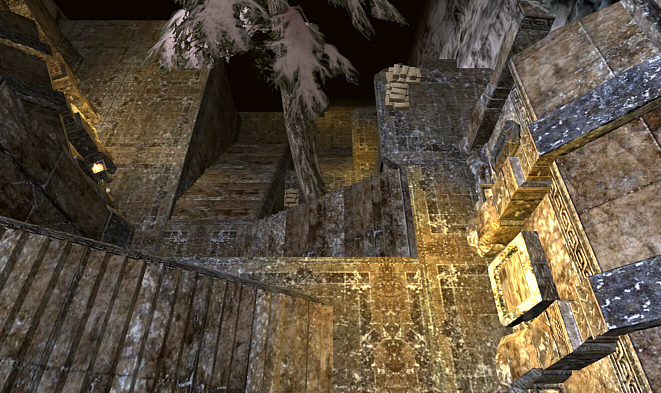 Checkpoint Four – Down the stairs of the Silver Deep Mine. 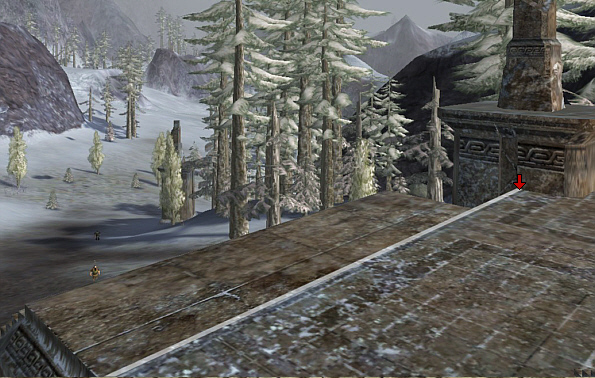 Riders can go down these stairs any way they like, but must touch the top platform. Jumping is permitted. Once down the stairs, riders can exit any way they like, including out the gates or over the fences. 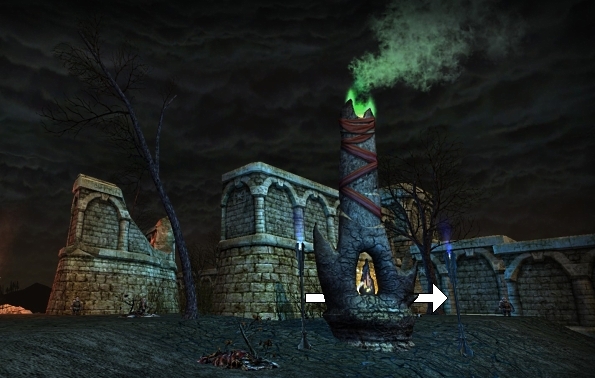 Checkpoint Five – Clockwise back around the statue in the center of Frerin’s Court. 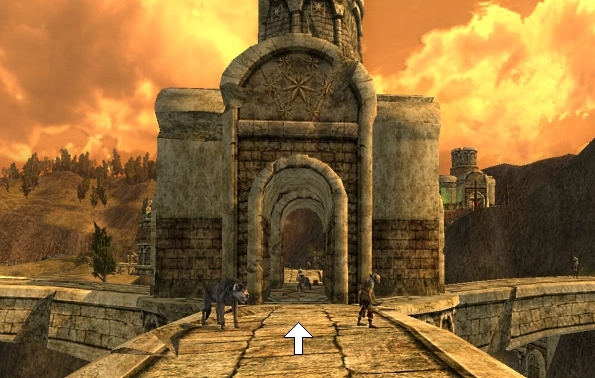 The finish line is an imaginary line between the two braziers at the top of the stairs in front of the gates of Thorin’s Hall. 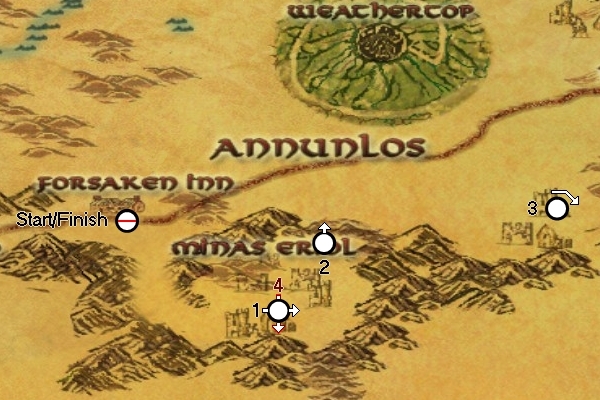 The race begins at the Forsaken Inn in the Lone-lands. 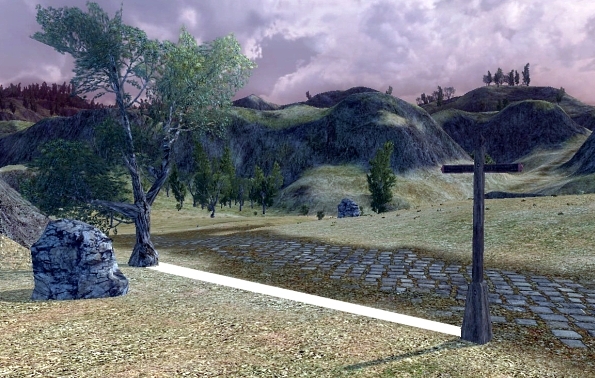 The start is an imaginary line between the sign-post and an adjacent tree. 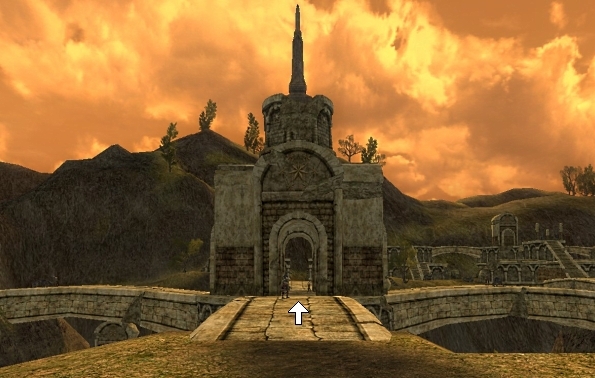 The first checkpoint is at the crossroads bridge of Barad Iachiant in Minas Eriol. The second checkpoint is the main corridor of Ost Laden at 34.6S/37.7W – pass through heading north. 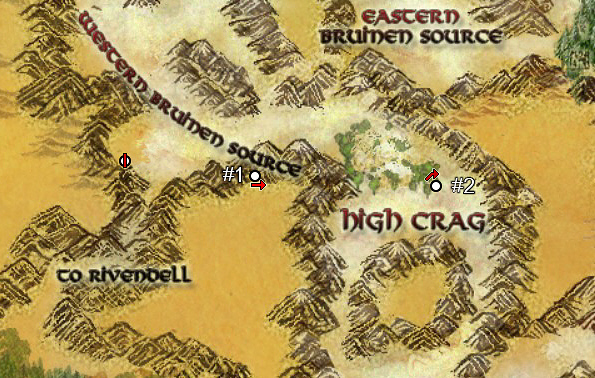 You may pass the Eglain camp leaving Ost Laden. 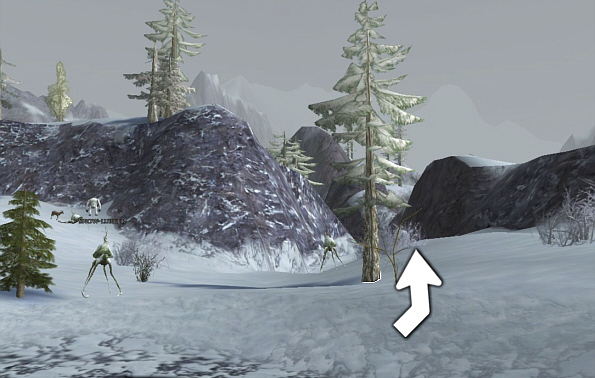 One way into Mithrenost is to cross the Lornspan. 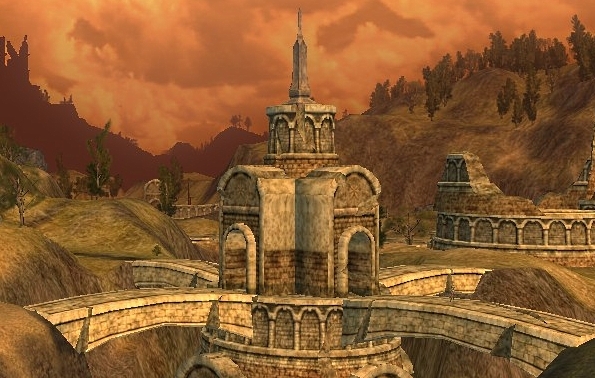 The fourth checkpoint is passing through the bridge of Barad Iachiant heading south. The finish line is the same as the start line.